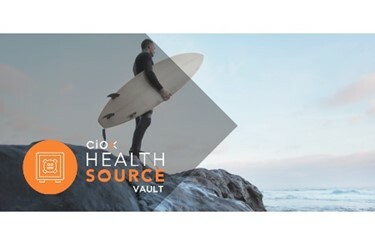 Ciox, a leading health technology company, recently announces the general availability of Ciox HealthSource Vault, a unified member-centric data repository designed for health plans, self-funded employers, life sciences companies and government agencies that require ubiquitous access to clinical data. Leveraging artificial intelligence and natural language processing (NLP) technologies, as well as a HITRUST compliant data storage environment, Vault is designed from the ground up to help solve the clinical data illiquidity challenge in U.S. healthcare. Across the country, patient data resides across multiple systems, and in a variety of structured and unstructured formats. The lack of interoperability and accessibility makes it difficult for organizations to have access to the data they need to run programs that are critical to patient care. Often, various departments within an organization seek the same information and request it separately and repeatedly, leading to a fragmented picture of a patient’s health status. HealthSource Vault creates a single source of patient data within an organization to enable use cases that can help providers deliver the best patient care experience and drive better insights from clinical data. For health plans, having access to longitudinal patient profiles enables them to improve the quality of care and drive effective interventions via a full picture of a patient’s health, including health risk level, conditions, providers visited, medications and procedures. Vault, coupled with Ciox’s extensive network, also benefits life sciences companies and government entities seeking to understand patient conditions to run research, drug trials, and health studies across patient populations. Ciox HealthSource Vault is designed as a dynamic member-centric data repository that aggregates data from multiple sources and enables the creation of longitudinal patient health records. For the organizations that require broad access to clinical data across multiple departments and users, Vault aggregates clinical documentation such as medical records, claims, health assessments, clinical data feeds and other data inputs. Vault’s functionality is enhanced by Smart Chart, a product that leverages optical character recognition and NLP technology to identify and extract health data from disparate medical records and supplemental data feeds, aggregating a patient’s medical history into a longitudinal digital profile that is then housed in Vault. Detailed dashboards and data feeds provide easy access to and understanding of patient data, enabling analytics to significantly improve financial and clinical outcomes.